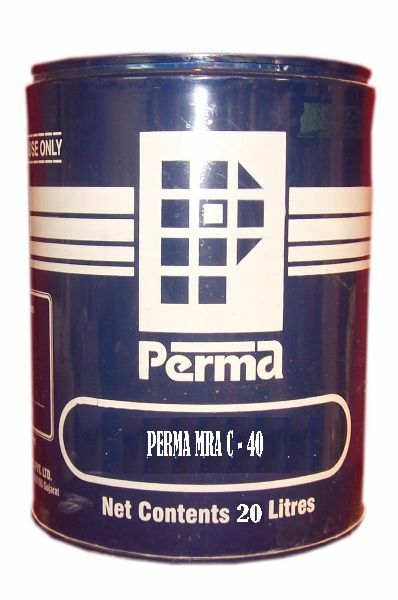 Perma Mould Releasing Agent is a chemical release agent suitable for shutters and moulds. Clean release gives a fair faced concrete surface. We make Perma Mould Releasing Agent with the help of the experts. And, the Perma Mould Releasing Agent is made with the accurate chemical composition. Thus, we are a famous Manufacturer, Supplier and Exporter of Perma Mould Releasing Agent in India. Primary Uses : Perma Mould Releasing Agent is suitable for all types of shutters and moulds. Perma Mould Releasing Agent can be applied to steel, timber, plywood, plastic and rubber moulds also. Advantages : Perma Mould Releasing Agent gives very good shutter releasing properties. Other oils used in similar application penetrate into the concrete and interfere with the strength of the member. Apart from this they leave ugly stains on the concrete surface. Before subsequent finishes one needs to chemically or mechanically remove these stains and left overs of these oils. Perma Mould Releasing Agent is designed keeping all these problems in mind and to ensure least damages to the shutters and to the concrete. Application of conventional mould releasing oils is tedious and time consuming. Perma Mould Releasing Agent can be sprayed for saving time and labour.